Fences is, quite understandably, inextricable from the acclaimed play by August Wilson that it was adapted from. Though it was only published in 1983, it has been continually lauded and produced over the past thirty years, earning Wilson both a Pulitzer Prize and a Tony Award and being placed in high school English classes across the country (including one attended by yours truly). 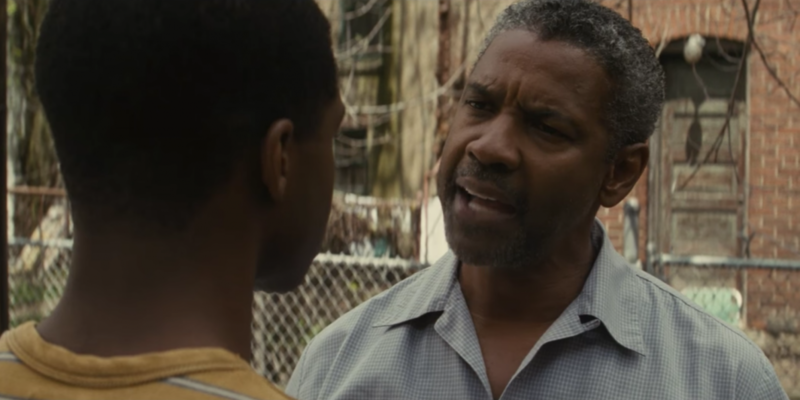 So, it is both wise and unwise of director and star Denzel Washington (who also won a Tony for the same role in 2010) to stick as closely to the content of the play for his adaptation. Aside from a few montages in between the acts of the play (though of course this delineation isn’t explicitly stated), restagings of scenes, and one brief scene without dialogue, Washington stays doggedly faithful, producing a film that manages to both feel like its own work while feeling a certain absence. 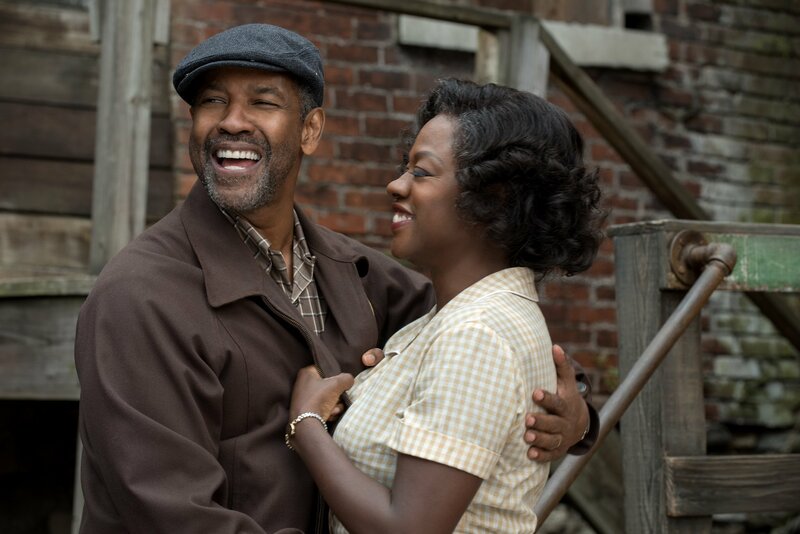 The greatest asset that Fences possesses is its lead, Troy Maxson (Washington), a garbageman living in Pittsburgh with his wife Rose (Viola Davis) and son Cory (Jovan Adepo). It revolves around him; virtually every character mentioned or seen is first met through him. This isn’t to say that the characters don’t have their own aspirations or defining traits, but he is the anchor, almost literally in some cases, that grounds and strengthens the film. Washington takes to this role with almost too much vigor, infusing him with both an overflowing braggadocio and a more intriguing brand of tenderness, prone to anger and pride but also clearly caring in his own gruff manner. As a result, the movie is nearly thrown off balance in its struggle to keep up with his tremendously dynamic performance, often racing through various moods and modes in the same scene. Still, this sense of excitement that is especially summoned in the first act is dulled somewhat by the intense conflicts that follow in the second and third. Washington’s direction is largely to blame, as his sense of rhythm seems to smooth over scenes that should feel jagged and raw. Also at fault seems to be the purposeful lack of interiority in both the script and the performances; the viewer is never given the sense that Troy or any of his friends or family means anything other than exactly what they are saying, and while that may benefit certain “big” scenes like Rose’s outpouring of grief and anger at Troy late in the second act (which, again, feels less impactful than it should), it makes for a slightly uninteresting experience once the film settles into a singular groove. Despite all this, Fences still remains a thoroughly engaging experience, even over an elongated (to preserve all the dialogue) running time, and its powerhouse performances from Washington and Davis (who both reprised their Tony-winning roles) speak for themselves. The slight lack of drama in the face of conflicts is odd, but watching two immensely talented and committed actors is in and of itself its own kind of pleasure.